The United Kingdom arm of beleaguered pizza purveyor Papa John’s is celebrating the return of I’m A Celebrity… Get Me Out Of Here! with a limited edition pizza topped with ostrich meat crumble. Perhaps you have questions? I have 10 answers. Yes, the American version of I’m A Celebrity… Get Me Out Of Here! was cancelled back in 2010; it’s not back over here. Just there. It films in Australia. Ostriches are not native to Australia, but they’re there, all the same. No, they are not endangered. 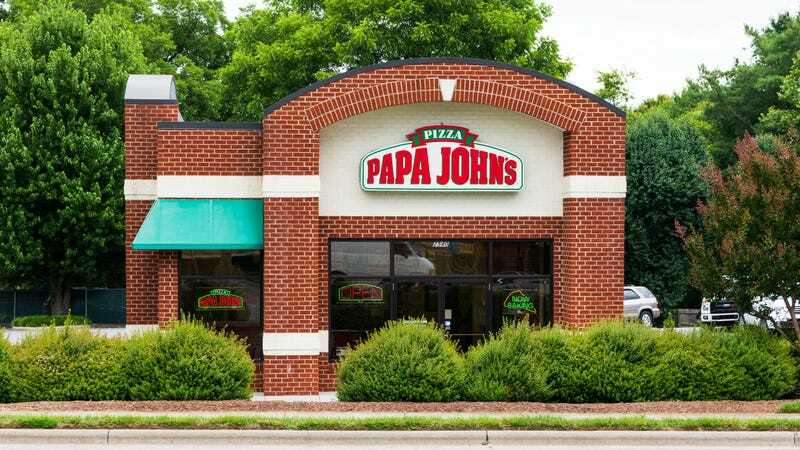 Papa John’s has quite enough bad press, you think they’d make a pizza topped with an endangered species? The cast includes Captain Jack Harkness—sorry, I mean John Barrowman—and a bunch of people I’ve never heard of, but I have to admit I’m not up on my British soaps. Yes, it is a stretch, but they say it is “enough to make you shout ‘I’m a pizza fan, get me to Papa John’s.’” Kinda like the name of the show? Get it? I mean, it depends, how hungry am I?